Tropika used to be at Aberdeen mall but now they have moved to Lansdowne mall. The new location is where the California Cafe used to be. We actually tried to go to Yah Yah Ya Ramen first but they were closed on Mondays, then we tried to go to G-Men but they were also closed…hence we ended up at Tropika since I had read a post about it by Vancity Noms. My friend really wanted Hot and Sour soup so we got the only size which was a medium. We did not expect it to be this big. This was enough for like 4-5 individual bowls. The soup was not too thick and more on the sour side but wasn’t that good. 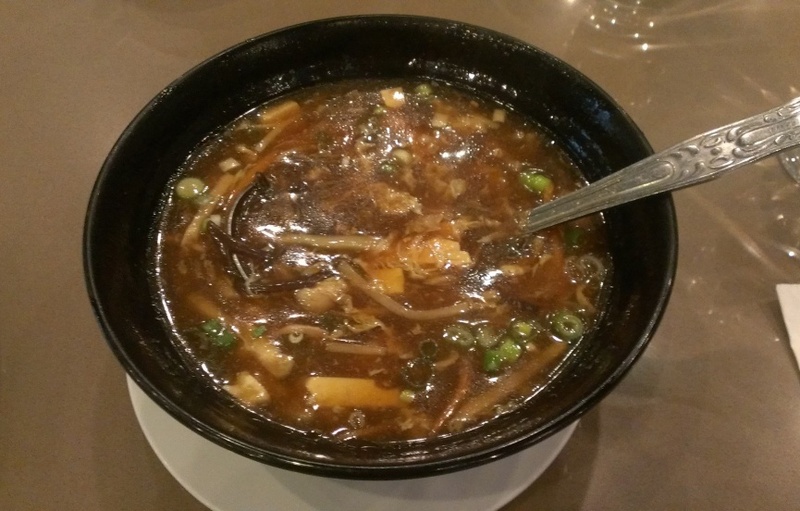 This entry was posted in Food Reviews and tagged curry, hot and sour soup, roti, sticky rice.